Found the most amazing artist! Her name is Alisa Burke and I had to share with you just three of her works of art. 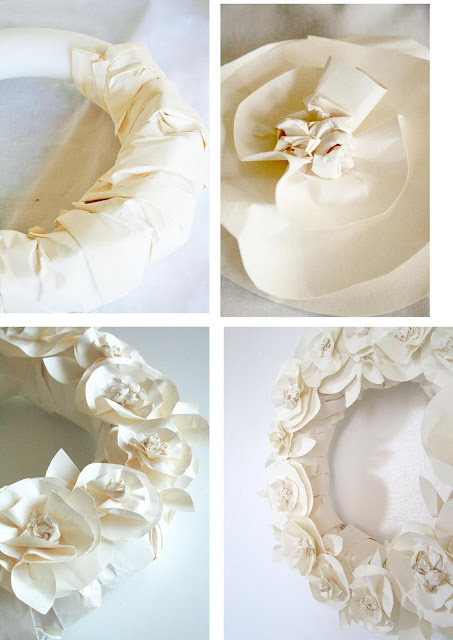 They all come with tutorials full of wonderful photos that will make it so easy to complete these three wreaths....and they are so beautiful! 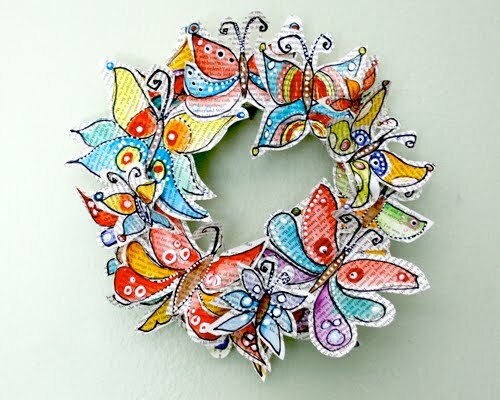 Wouldn't this darling butterfly wreath be perfect for a child's bedroom? 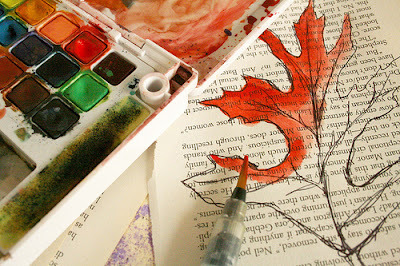 If you are at all artistic you could make this, especially since the tutorials are so great. 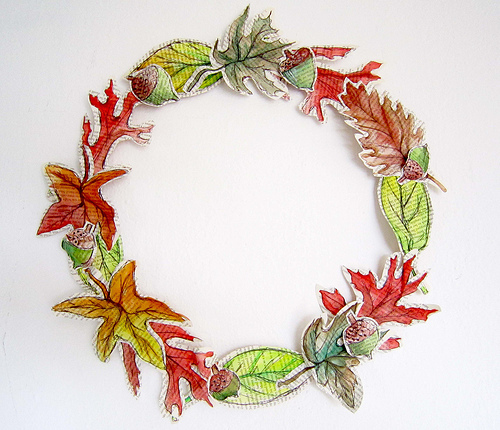 This is the perfect wreath for the up-coming fall weather. 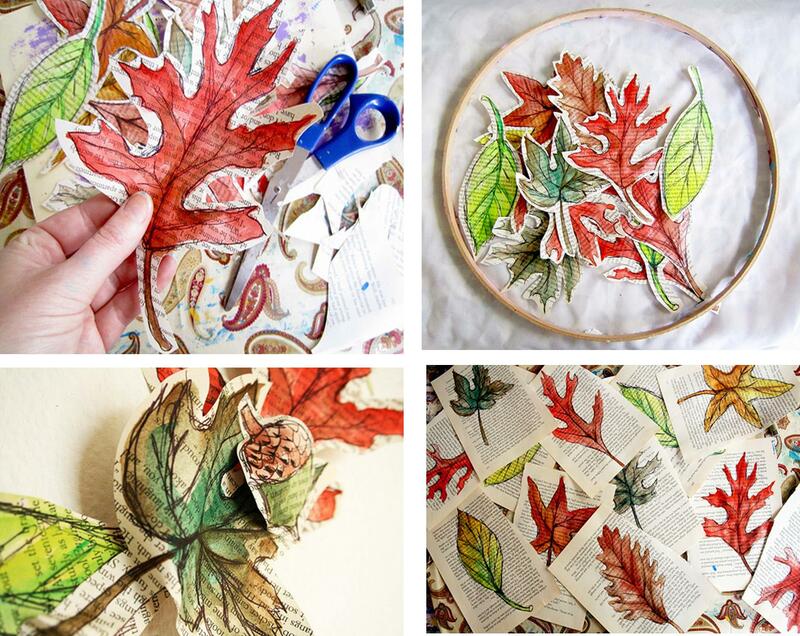 Make it as full as you want by adding more leaves or acorns. These pieces are also painted on pages of a book. It gives it a great look. 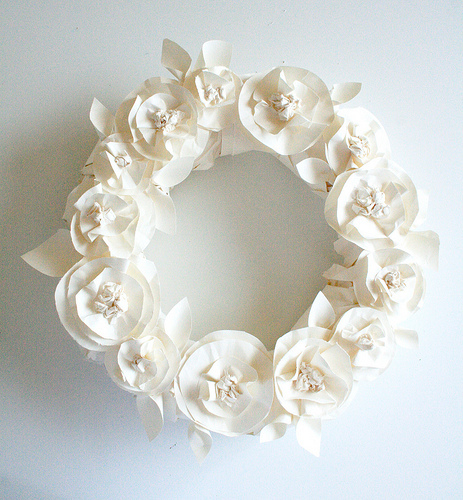 This flower wreath is made out of butcher paper. As Alisa says "I always keep rolls of butcher paper on hand-it is one of the cheapest and most versatile supplies" You start by cutting large stripes of butcher paper and scrunching it up. You could even use newsprint.You can purchase it at your local newspaper plant. The rolls are very inexpensive. To get all the directions to this project click Here You could use other things to make this wreath too. If you used wrapping paper you could have a very colorful and unique wreath. What about newspaper? I have some black and white polka-dot wrapping paper that I am going to use for this wreath. If I put on a contrasting bow (pink, red, orange etc) it will be so cute! Well now you've seen a few of Alisa Burke's things you're going to want to browse through her blog for other unique and artistic projects. Get the kids involved and have fun with all three wreaths.